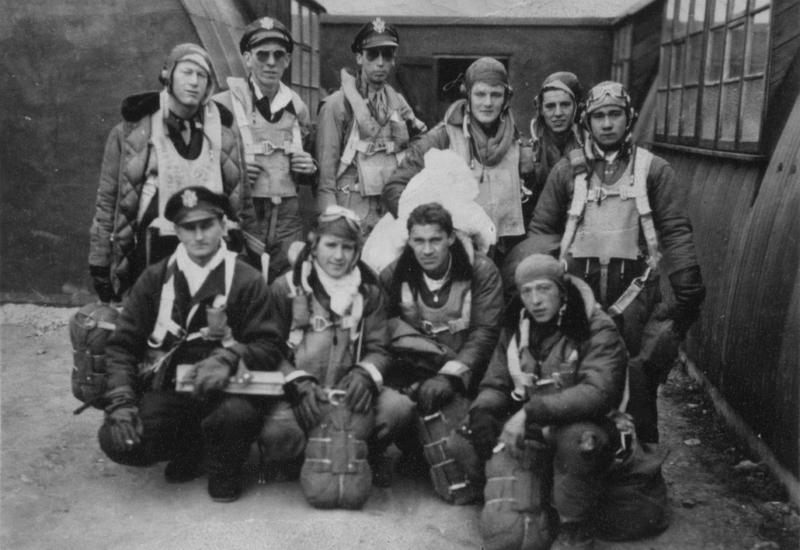 Staff Sergeant George W Haggerty was a right waist gunner for the lead crew of the 730th Bomb Squadron, 452nd Bomb Group. Leon B Slobodzian was a bombardier with the lead crew of the 730th Bomb Squadron, 452nd Bomb Group. He flew 29 missions over 8 months in Europe and earned both the Distinguished Flying Cross and the Air Medal with 3 Oak Leaf Clusters.